Miss the news this week? The Catchup has you covered on important happenings from around the globe. Hundreds of thousands have taken to the streets of Lome, the capital city of Togo, and 10 other cities throughout the nation this week, demanding constitutional reform and the immediate resignation of President Faure Gnassingbé, whose family has led Togo for 50 years. The opposition party estimates that the number of Togolese participating in protest is in the millions, a level of participation that they say is “unprecedented.” The government has restricted access to social media and shut down nationwide mobile internet since the protests began. Russian President Vladimir Putin said Tuesday that the United States’ threats of military action in response to the growing North Korean nuclear issue could result in a “global catastrophe,” adding that current rhetoric from the U.S. has been “ramping up military hysteria.” Putin, in the same statement, called for the U.S. and South Korea to end military exercises and to focus efforts on diplomatic solutions to bring an end to North Korea’s nuclear program. Cambodian opposition leader Kem Sokha was charged with treason Tuesday under accusations of working with the United States to overthrow the government. Following laws that were amended this year, a conviction would result in a 30 year prison sentence for Sokha and the dissolving of the opposition party. Cambodia’s current prime minister, Hun Sen, has led the country for the past 32 years, despite the country being nominally a democracy that holds regular elections. This recent move follows the closing of over 15 independent radio stations and an American owned English newspaper. Paolo Duterte, son of Philippine President Rodrigo Duterte and vice mayor of southern city Davao, has been accused of using political power to ease the entry of a 125 million USD narcotic shipment into the country from China, the second large scale drug trade accusation made against him this year. Paolo Duterte released a statement saying the accusations are baseless. President Duterte has made a nationwide crackdown on drugs a staple of his presidency, with nearly 4,000 people killed in anti-drug operations since he took office in May of 2016. Duterte, who famously said that he would be “happy to slaughter” three million drug addicts, previously vowed to resign from office should anyone in his family be involved in a scandal. Slovakia and Hungary have filed official claims with the EU High Court against quotas put in place in 2015 for mandatory acceptance of asylum seekers by all EU member nations. The quotas, which were put in place to ease the burden of refugees on Greece and Italy, require Hungary to accept 1,294 and Slovakia to accept 802. Since quotas were set, Slovakia has accepted 12 asylum seekers and Hungary hasn’t accepted any. Representatives from the respective governments have said that the quotas create a threat of Islamic terrorism in their nations. The EU rejected the complaint, saying the decision was final and not open to appeal. A document leaked from Home Office in the UK this week revealed plans to eliminate free movement policies between EU nations and the UK and to adopt a “selective approach” policy to migration that curbs numbers of low-skilled applicants admitted to the UK. The government declined to comment on the details outlined in the document, saying that they would not discuss the “leaked draft.” Details regarding the March 2019 split between the UK and the EU, including immigration policies, are still being deliberated. Human Rights Watch released a report this week declaring that Egypt has committed crimes against humanity with their brutal use of torture as a “systemic practice.” The report calls on the U.S. government and the United Nations to prosecute Egyptian officers accused of involvement in torture. The U.S. recently cut nearly 200 million USD in military aid to Egypt and 96 million USD in other forms of aid due to concerns of human rights abuses. 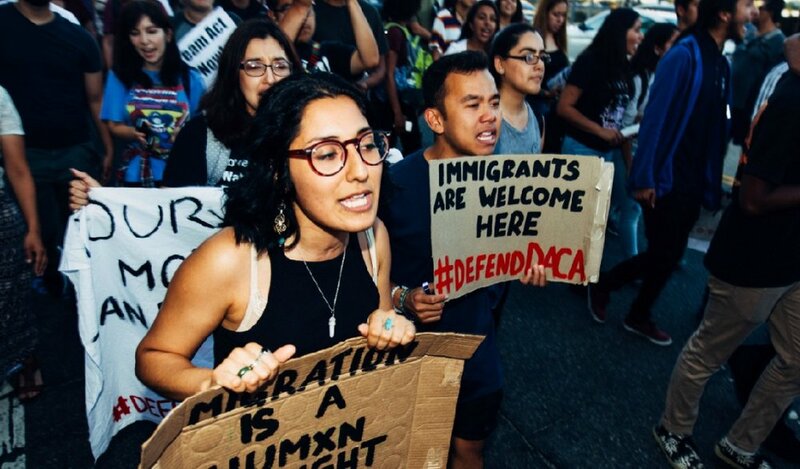 On Tuesday, U.S. Attorney General Jeff Sessions announced that the Trump Administration will be ending Deferred Action for Childhood Arrivals (DACA) . The program, created under the Obama administration, grants renewable two year work/study permits and deferrals from deportation to undocumented immigrants who were brought to the United States as children. Eight hours after the decision was announced, President Trump tweeted, “Congress now has 6 months to legalize DACA (something the Obama Administration was unable to do). If they can’t, I will revisit this issue!” The end of the program would mean that an estimated 800,000 DACA recipients will lose their permits and face deportation over the next two years until all current permits have expired. The Mexican government declared the North Korean ambassador to Mexico “persona non grata” on Thursday, giving the ambassador, Kim Hyong Gil, 72 hours to leave the country. The Mexican government released a statement, saying “North Korea’s nuclear activity is a serious risk for international peace and security and represents a growing threat to nations in the region, including fundamental allies of Mexico like Japan and South Korea.” The government released an additional statement, saying that this move did not indicate plans to sever diplomatic ties with North Korea. Formal charges were filed this week against former Brazilian presidents Dilma Roussef and Luiz Inacio Lula da Silva on the grounds of diverting funds from state-owned oil firm Petrobras. The charges, which included cartel formation, corruption and money laundering, were filed against eight members of Brazil’s workers party, including the two former presidents. This is the first criminal charge against Roussef, who was impeached from office in 2016 for breaking budgetary laws.